Riding through the intricate network of narrow winding streets you’ll have a glimpse into the local’s way of life. Riding through the intricate network of narrow winding streets you’ll have a glimpse into the local’s way of life. Seeing the vivid colors and numerous cultures that make this ‘Rose of the North’ city so unique. You will eat, smell, and hear like a local as you make your way through the local market. Forget the modern days Hipster fad, Trailhead will show you the Original Hipster way of our ancestor. Forget the modern days Hipster fad, Trailhead will show you the Original Hipster way of our ancestor. Riding slowly on modern asphalt under the shade of the old days to find out what made those people so trendy in their time? How the invasion of different cultures influenced the typical Northern culture. A fun ride back in time. 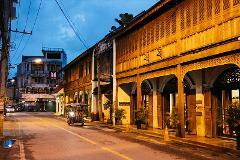 Discover Chiang Mai, the exotic city was once an entirely walled square surrounded by a moat. A fun ride back in time. 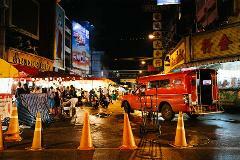 Discover Chiang Mai, the exotic city was once an entirely walled square surrounded by a moat. See the aesthetic of ancient architecture. Go deep into the route of Lanna culture, a fusion of civilizations. Feel the spiritual beliefs that blended in every rhythm of our lives. As we move our way back to the future, you’ll appreciate harmony of old and new in this 700 years old kingdom.